Canto provides digital asset management solutions for companies of all sizes and across all industries that rely on visual communications. Canto gives marketing teams a simple, visual way to centralize, organize and share all their digital brand assets, empowering them to save valuable time and gain a competitive edge. How much does Canto cost ? 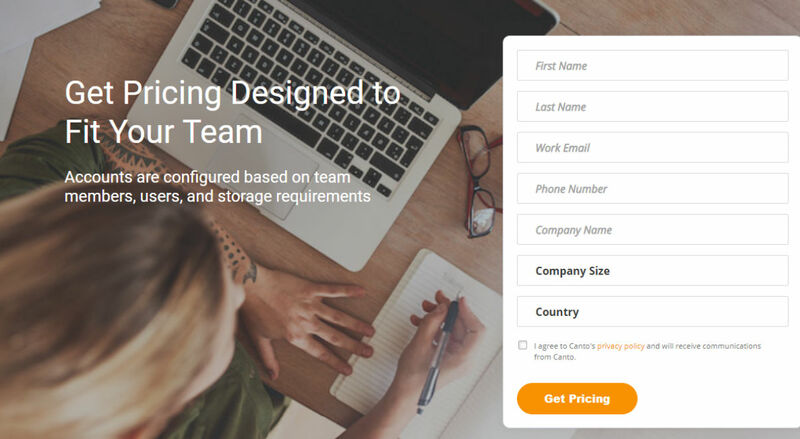 Canto provides a custom pricing for their software. Disclaimer: The pricing details were last updated on 10/01/2019 from the vendor website and may be different from actual. Please confirm with the vendor website before purchasing. Pros: Canto helps our company organize all of our digital assets and makes it easy for us to share files with others. Cons: It takes a while to get the hang of how to use it. 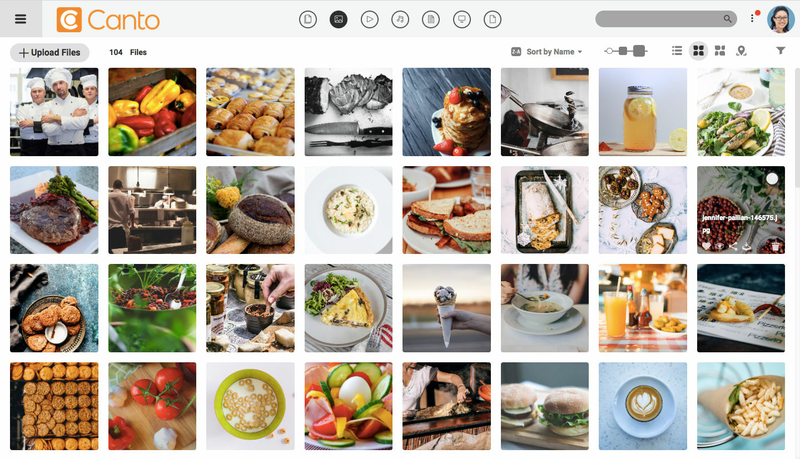 "Canto makes Digital Asset Management a Breeze"
Canto has made sharing various assets such as images, videos, and designs easier than our previous solutions. The initial onboarding and setup did take some time. However, maintaining our assets is very easy compared to previous solutions where we had assets scattered across multiple platforms such as dropbox, email, messenger, etc. Definitely worth trying out to see if it fits your needs. We previously did not have a good way of sharing assets of individual skus with various vendors and customers. Canto makes it easy to customize what each of these people see, rather than forcing them to dig through files they do not need. "Canto has solved many issues for us"
The Canto platform has been a huge help for us! It has made organizing, tagging, and sharing of images incredibly easy. The site is easy to work on as well. The Portal function is also amazing. I was tasked with creating a Portal and found a very helpful tutorial on the creating one that made it very easy. Highly recommended platform with very reasonable pricing options. I would say the only thing that is a bit buggy is when creating new folders and albums in the folder structure. Easily sharing images to external partners. "So intuitive, responsive, fun to use! " It immensely aids with pain points like organizing and searching for specific images, and is easy enough for someone with little to no photo editing experience. It loads way more quickly than you'd expect something so robust to. I wish it had "related images" automatically populated somehow! It would be great if more than just the person who uploaded the image could add keywords and other kinds of notes. Creating custom folders would be great instead of having to default to what the original uploader chose. Organization that works for everyone! Ease of accessibility whether you're in the office or not. We don't have to reply on shared servers that may or not be reachable depending on location. Workflow is not interrupted and product activation is seamless. Pros: Good for organising and tagging our brand assets and stock images and easy for staff to search and find files. You can associate files together which is a handy feature. Cons: Find it quite expensive and we will probably investigate moving to another cheaper solution soon. Pros: Really useful or storing our brand assets for staff to use. User friendly. Great support team. Cons: Have trouble renaming files once uploaded I think this may be a bug, keeps reverting to old name. I like that we aren't emailing photos to each other and it can all be in one place. It also makes it a lot easier to work with photographers in different places, because they can just upload the photos directly. It would be nice if the system was a little faster. It can be a bit clunky at times, which can be stressful if you're trying to get something done quickly. Compare the ways you are organizing photos now to the way you would like to be doing it. Then look and see if Canto solves those problems. It eliminates emails going back and forth with huge files. It used to be a complete mess. Pros: Canto is great for staying organized. With all digital assets in one place, it's easy to find what type of marketing collateral you're looking for. Tagging features make it even easier. Very intuitive DAM. Cons: It's important to make sure you have guidelines in place among your team for proper naming conventions and tagging. If you implement these best practices, Canto will make things much more efficient. Pros: I love the ability to keep our organization's photos organized through this platform. The software allows us to keep photos organized into folders and sub folders and categorized by labels and tags. This helps us tremendously to locate our images when we need them. Cons: I wish it was a little easier to organize and edit batches of photos at a time. Overall: Canto helps us keep our photos organized and categorized in order to easily access them when we need them and apply proper credit as needed.